Head coverings are not a popular doctrine. In fact, that’s quite the understatement. So why would I start a movement based upon it? Do I enjoy controversy? Absolutely not. Looking to be divisive? The opposite. Then what would possess me to do such a thing? The short answer is, because it’s in the Bible. See, if “all Scripture is inspired by God and profitable for teaching, for reproof, for correction, for training in righteousness” (2 Tim 3:16) then all Scripture deserves fair treatment. On top of that, this particular topic is not just mentioned in the Bible, but it’s defended. It’s not just one or two obscure verses but it occupies 15 consecutive verses. We can debate what Paul meant and we can debate how it applies in the 21st century, but the one thing we can’t do is ignore this topic. That’s an incredibly honest statement. Because a head covering is a visual symbol, it’s impossible to hide or delay in stating your views. It’s the first doctrine that people know you believe if you meet someone at church, even before you shake their hands. They may be feeling judged just by you wearing one (because they’re not) and you may be thinking that they must be thinking that you’re stuck in the 50’s. To top it off, your pastors or those closest to you may be concerned that you’re embracing legalism. These are real struggles that people face when even contemplating the “actual head covering” view. So suffice it to say, when Dr. Wallace noted that it’s “unpopular today” he has an accurate perception of how well it’s received. When you wear a head covering it forces everyone in your church to deal with the text and some just aren’t ready to. Now this is not to say that the only reason that people don’t embrace head coverings is fear. 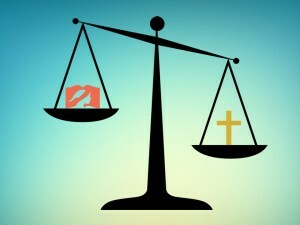 Some are persuaded by other interpretations and if convinced by Scripture, would change their minds. I hope that is you and you share my desire to rightly understand everything the Bible says and submit to that. But I’m worried that many read over 1 Corinthians 11, thinking “that can’t mean what I think it says. No one I know wears one and we can’t all be wrong.” Then scurry off to chapter 12, making a mental note to look into it later (which if we’re honest rarely happens). If I described your response, now is that time. We’re going to go deep into the text and wrestle through it together as a community. Don’t worry though, this blog isn’t written to scholars, I wrote it for the average Christian, the layman and laywoman, for you. 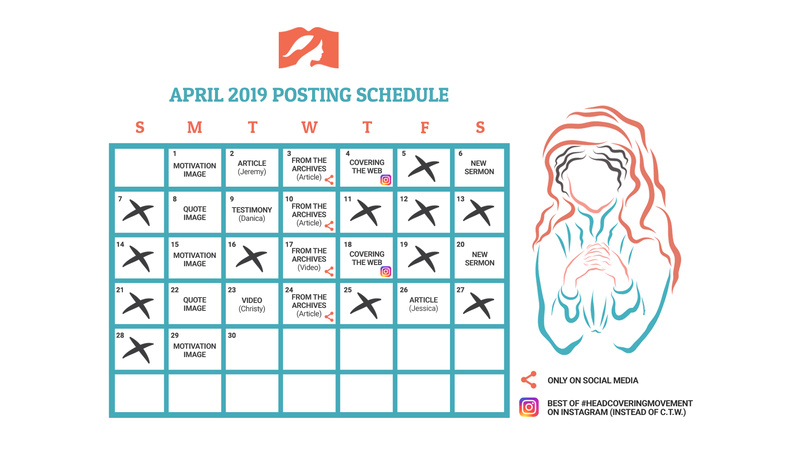 In the next four posts I’ll be making a positive case for the wearing of an artificial head covering for women while in church. Likewise, I’ll argue that men are commanded to keep a bare head in the same context. I’ll do this by pointing to four reasons that Paul himself gives in 1 Corinthians 11. When I explain those reasons, I won’t be giving as much attention to competing views as this will largely be a positive case. After that I’ll make a case for why head coverings only need to be practiced when the local church is gathered together. Finally, we’ll give attention to your questions and the popular objections. Before this post comes to an end I want to bring up a word of caution: make sure your heart is prepared. I figure most people reading this blog either disagree with or don’t know what to make of head coverings, so your guard is probably up. I know, I do it too and it’s not a bad thing really. We’re always in a battle against false teaching and false teachers, so it’s good to be skeptical and keep a guard up, filtering everything through the Word of God. Just make sure you won’t accept any old argument against head coverings because you don’t want it to be true. What will my husband or wife think? What will those in my church think? How will I find a spouse if he/she knows I believe this? The fear of man can be overwhelming, but we must fear God and His commands above men. 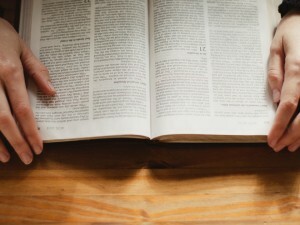 We must bind ourselves to the text of Scripture and obey no matter how uncomfortable the outcome may be. So if your heart is not ready, make sure you stop and seek the Lord in prayer before moving on. Then when you’re ready give 1 Corinthians 11:2-16 a good read. Please read through this text slowly and become intimately familiar with it. This is the only chapter in the Bible that commands and explains the practice of head coverings, so you must know it well to be a good Berean (Acts 17:11). I have blogged about this myself 🙂 Not as well as you though. Hi Rachel, thanks for the kind words and for stopping by. I read your blog post and I was really sad to hear you struggle so much with covering. I hope that you will find this site as a source of encouragement. I also work, part-time in a public library. I started covering last week, and scarves are all I have! Just last week? AWESOME! Glad to hear @rhodanewton:disqus. Encouraged by your stand. Yes, I’m so blessed that I found your site the same day! I am a fifty something single mom who has been covering since 2007… and I know literally no one else in real life who covers. It was hard at first; I was so embarrassed and self conscious! Now it’s second nature and I feel almost naked if I happen to venture out without having my head covered. 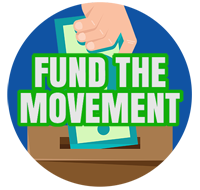 I’m so excited to see this site and this “movement” and if I can help you or support your work in any way, please don’t hesitate to let me know! I believe in covering. I did for about 1 year and my husband asked me to stop. He is a Christ loving man a wonderful man but he feels the scripture is not say to actually cover my head with a cloth it is that I am to have long hair and he is my covering. I have sopped covering. Am I wrong? Jen, there is no question I feel more ill-equipped to answer. My plan to get two pastors who would answer your question differently to state their case and then post their replies in the form of an article. In the mean time, if you feel like you’re sinning I’d tell your husband how your feeling and ask him if you can cover for the time being until you both complete an in-depth study together. If that doesn’t help, maybe request to have a neutral party from your church sit down with you both so they can hear your both out and maybe give some Godly counsel. Praying for you @jenleibert:disqus. Jeremy, If you’re still looking for those two pastors, let me know if I may be of help. our church’s website is eganvillebaptist.org e-mail me from the contact page if you’re interested. You are in a tough spot…so it is a PERFECT opportunity for you to go to the Father and ask Him for wisdom and his direct guidance. He will show you the way. I was told that if it is not leading me to sin as a woman of God, to listen to the spiritual leadership of my husband. Give him my input, of course, he listens and considers, but in the end he leads spiritually. So I would say the same thing…it’s a situation that is difficult: SO, let us go the Father and ask for wisdom…He promised He would give it! Great articles, Kevin. Thank you for sharing them. I just found this blog today and Praise God!!! I have been covering for several years now in worship and anytime I pray. It took a long time to get the courage to do it. Several women in my congregation covered, but not all, so I had support when I decided to start wearing one. I really feel like the feminist movement has almost destroyed this practice. 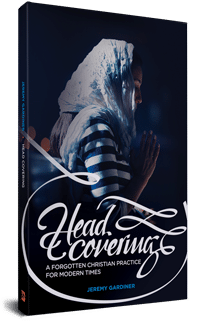 The most eye opening information I have found on the covering is a cd by David Bercot called What the Early Christians thought on the Headcovering. Its very good! I am looking forward to reading the blog and future posts! Grace, mercy, and peace be with you all, from God our Father, and from the Lord Jesus Christ our Savior!! You do know that Daniel Wallace completely disagrees with your conclusions, don’t you? Absolutely, I quoted him in this article as saying “I held to this view up until recently”. Paul was clear – 1 Corinthians 11:15 – “But if a woman have long hair, it is a glory to her; for her hair is given to her for a covering.” 16 “But if any man seems to be contentious, we have no such custom (head covering) neither the churches of God.” Head covering is not some old testament law is what he means there, and there is no such custom in the churches. Chapter 11 is Paul’s reply to a question from the Corinthians about head covering. The head of the man is Christ, if a man prays with his head(Christ) covered, he dishonors his head(Christ). The head of the woman is the man, if a woman prays with her head(man) uncovered she dishonors her head(man). and/or are taking on the husband role. Does Paul ever speak sarcastically/with satire anywhere else in his letters? When Paul said all scripture is inspired by God, I don’t think he was talking about his own words but rather the old testament books. Would you call some of the books you have written, or Christian comments you made, scripture? Would you call an email you send someone about some Christian advice you gave them, scripture? Would you call a letter you wrote to your friends, scripture? I don’t think Paul was so bold either. Hi Brenda, have you seen our article on “church practice”? Which angels? What does he mean? Let’s take it literally; a head covering. How is a scarf over ones hair any different from just the hair itself? From above, as an angel, I guess one would see the covering instead of hair. Is that all? To signify woman from man to the angels looking down from above? Well, that can’t be the case, cause Paul said long hair could be a covering. but long hair can be the covering itself. If that is the case, then the hair must not just be for covering the top of the head, but also the forehead. All I have to add to this discussion is that I quite thoroughly enjoyed reading this! I look forward to subsequent posts. God first brought this attention to me several years ago. I was a newborn Christian at that time. So I decided to research this matter, but only became confused because both sides had compelling arguments. Then I realized that I had to seek God first, because He is the author. So I prayed for wisdom and the same verses over and over. It took about a week before I received my answer. One day the verse about the angels “leapt” off the page and that’s when I knew in my spirit that yes God wants us females to cover our heads. Now I am confident and I am able to see clearly how the arguments against it are not right. And now when I read the reasons for it, then I am confident because God was gracious to give some of His wisdom. Praise God!